Nerium International has created the Best Skin Care Products available today! And Now Nerium International is proud to announce the new Nerium EHT Anti Aging Brain Supplement! The new revolutionary, multifunctional Nerium Eye Serum targets puffiness, dark circles and wrinkles to reveal smoother, healthier-looking skin around your eye. The exclusive Eye Serum also brightens, tightens and moisturizes the skin around the eye area. All three Nerium products, one price! Night Cream, Day Cream and the NeriumFirm. Regular retail purchase value is $310 Buy now and save $126.00! Experience Nerium’s night and day difference with the ultimate skincare system: NeriumAD Age-Defying Treatment and NeriumAD Age-Defying Day Cream. Get all the benefits of both products in one purchase! Regular retail purchase value is $190.00 Buy now and save $50.00! Age-Defying Night and Day Creams, NeriumAD® Formula, provide your face with 24 hours of age-fighting skincare, addressing both the signs of aging and the underlying causes. Age-Defying Eye Serum targets puffiness, dark circles and wrinkles to reveal smoother, healthier-looking skin around the eye. Regular retail purchase value $270.00 Buy now and save $110.00! 30 Day Money Back Guarantee! NeriumAD a powerful, clinically proven formula reduces the appearance of fine lines, wrinkles, discoloration, uneven texture, enlarged pores, and aging, loose skin. 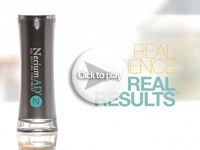 The NeriumAD age-defying night cream contains a patented NAE-8 extract, as well as other effective ingredients. Regular retail purchase value $240.00 Buy now and save $78.00! 30 Day Money Back Guarantee! NeriumAD is a powerful, clinically proven formula reduces the appearance of fine lines, wrinkles, discoloration, uneven texture, enlarged pores, and aging, loose skin. 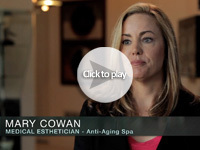 This NeriumAD age-defying night cream contains a patented NAE-8 extract, as well as other effective ingredients. Regular retail purchase value $120.00 Buy now and save $30.00! Developed using the patented (NAE-8) extract, which contains antioxidant properties as well as five other key ingredients. NeriumFirm is formulated to reduce the appearance of cellulite, and help smooth, tighten, and firm the appearance of loose skin. Regular retail purchase value $120.00 Buy now and save $30! Each box of Nerium EHT contains three blister packs of 10 tablets each for a 30-day supply of Nerium EHT Brain Supplement. Jumpstart your path to a healthier brain, more focused mind and increased memory with two 30-day supplies of Nerium EHT® Brain Supplement, Mind Enhancement Formula™ for one great price! The Nerium EHT Combo Package includes one each of the Age-Defying Night and Day Creams, Firming Body Contour Cream and the New Nerium EHT Brain Supplements. The Nerium Age-Defying Night and Day Creams will provide your face with 24 hours of anti aging skincare. The Nerium Firming Body Contour Cream targets problem areas such as love handles, stomach, thighs and upper arms. Nerium International offers a 30 Day Money-Back satisfaction guarantee on all Nerium Products. Contact Us (805) 888-5225 Spanish Interpreter Available! Become a Nerium International Preferred Customer and you will immediately begin to save on your Nerium purchases with our Auto-Delivery program. You will receive the lowest prices available at all times on your Nerium product purchases. Preferred customers are able to change or cancel the Nerium Auto-Delivery at any time. You may also place the Nerium Auto-Delivery order on hold or reschedule the shipment at anytime. You have complete control of your orders! As a Preferred Customer, you are also eligible to participate in our 3UR Free program. Simply refer three (3) other Preferred Customers, and your next month’s Nerium order is free! What is 3UR FREE? – Nerium Free Product! Nerium InternationalTM just made it easy for you to qualify to receive your monthly product order for free through the new Nerium 3UR FREE program! How do you qualify for your Nerium Free Product? It’s simple! If you have at least three Nerium Preferred Customers in one calendar month whose product order in the Auto-Delivery Order (ADO) program totals or exceeds the amount of your Nerium Auto Delivery Order, your next month’s Nerium order is FREE! If you have any questions about the Nerium Auto-Delivery Program or Products Please Call Now: 805-888-5225 Spanish Interpreter Available! Nerium International™ offers a 30-day, money-back satisfaction guarantee! Still not convinced? Click the button below to make a ONE-TIME Purchase. Are you looking for a Business Opportunity? Become a Nerium Brand Partner today! You will have immediate access to your own personalized website along with all the training and marketing materials needed to get started. CALL NOW! 1-805-888-5225 and start your new business today! Getting Started with Nerium is Simple! Nerium Starter Packs come fully equipped with everything you need to get your Nerium Business started today. You will have immediate access to your own personalized Nerium website along with all the training and marketing materials needed to get started. CALL NOW 1-805-888-5225 and start your new business today! Become a Nerium Brand Partner to receive Nerium’s best pricing and have a powerful opportunity of owning your own business! Due to the big success of Nerium International’s unprecedented sales and growth, Nerium was the youngest company ever featured in Direct Selling News and SUCCESS from Home magazine. 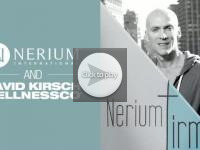 Nerium was billed as one of the top up-and-coming companies in the relationship marketing and skincare industries. Nerium International is truly a global company and growing at an unbelievably rapid rate. We currently have Brand Partners throughout the United States, as well as all U.S. Territories, including Puerto Rico, Guam, American Samoa, the Virgin Islands, and the Northern Mariana Islands. Nerium International expansion in 2013 added Canada and Mexico to the list. 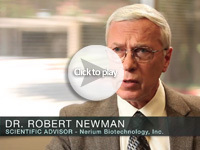 In June of 2015 Neium International Global expansion will include Korea. As such, Nerium International has been busy translating the materials and websites to accommodate the various languages our Brand Partners speak. We currently provide business materials in English, Spanish, Korean, and American Sign Language (ASL). This entry was posted in Become A Nerium Brand Partner, Nerium, Nerium AD, Nerium Brand Partner, Nerium Day Cream, Nerium Firm, Nerium International, Nerium Products, Purchase Nerium and tagged Buy Nerium, Nerium, Nerium Brand Partner, Nerium International, Nerium Products, Nerium Skin Care, NeriumAD, Neriumfirm, Purchase Nerium, Purchase Nerium Ad on August 30, 2014 by Administrator.